The accounting watchdog is pushing on with its promise to get tough on Britain's six biggest audit firms following criticism that it is too soft. The under-pressure Financial Reporting Council (FRC), which has been criticised for letting major accountants off the hook, said on Tuesday that it would "enhance" its monitoring of the companies and review those in line for certain jobs in the industry. Candidates for a board, head of audit or ethics role at KPMG, Deloitte, PwC, EY, Grant Thornton and BDO would be assessed by the regulator, it said, as the firms face a reputational crisis following a string of scandals. The FRC said it wanted to limit "risks of systematic deficiencies" that could affect stability in the financial sector. The announcement comes a day after it said that serious breaches would land the Big Four fines of ?10m or more from June this year. The Big Four - KPMG, Deloitte, PwC and EY - currently handle around 99pc of all FTSE 100 audits and 96pc of FTSE 250 audits. 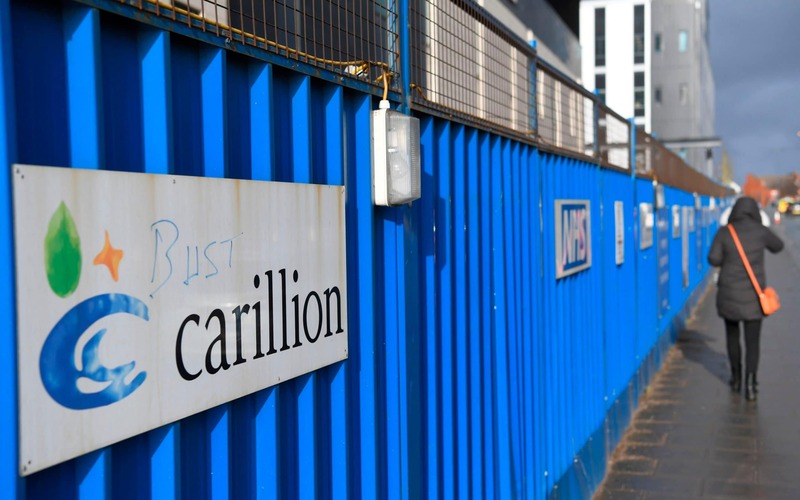 The extra scrutiny comes as public trust in the sector dwindles, with the collapse of construction giant Carillion raising questions over the role its auditors played. In the decade leading up to its collapse, the Big Four raked in more than ?71m in fees from the construction firm. MPs have since called for the biggest accounting giants to be broken up after failing to spot the warning signs at Carillion and “feasting on what was soon to become a carcass”. Business secretary Greg Clark piled further pressure on the industry watchdog at a select committee hearing earlier this year when he said: "I think we should look at the operation of the FRC to see whether there are changes that are required." Former KPMG partner Richard Fleming, who now covers European restructuring for Alvarez & Marsal, said the FRC's recent push to get tough was "long overdue". Smaller rivals are hoping to benefit from the extra scrutiny, with one former Big Four accountant telling The Telegraph that his firm had noticed a significant uptick in CVs in recent months. However there are also fears among specialist advisers that if the accounting giants are broken up, this would lead to more competition in the restructuring and advisory sectors. The FRC has already started monitoring areas such as risk reporting, contingency planning and IT security and will report those findings back to the companies. "The work of the Big Six audit firms is core to the integrity and transparency of UK capital markets and so it is vital that the FRC introduces a new approach to monitoring their stability and performance," said FRC director Melanie McLaren.